Trutina system learning center – Part 2. - Gremon Systems Zrt. We, as Gremon Systems Zrt., are fully committed to support our clients so that they could use the Trutina system the most effective and most productive way. In our last post, we shared basic information about Trutina system’s dashboard. 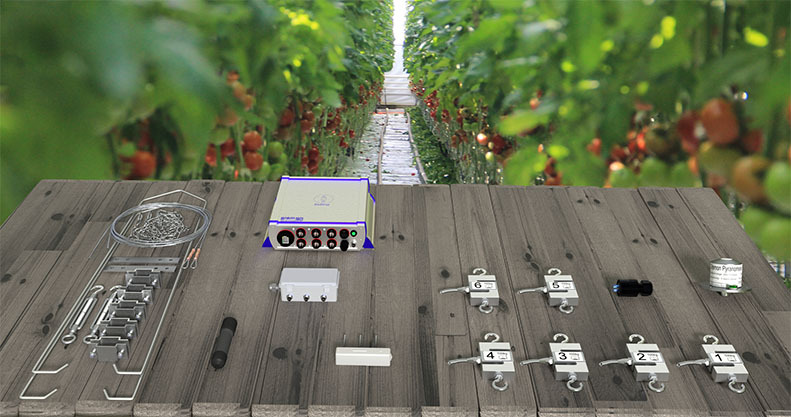 Today we are continuing that article because we do believe that the Trutina system offers unique opportunities in the world by the direct monitoring of the plants. These opportunities must be integrated into the daily routine plant management activities. Choosing the right irrigation strategy is a continuous challenge for growers. Certain elements of the irrigation strategy are often reprioritized due to the ever-changing nature of various aspects and circumstances. Let’s divide the 24 hours into different periods to examine some cases. When should the first irrigation of the day be scheduled? Every grower has their own concept about how it is best to determine this time. For example, should the percentage difference from the last irrigation of the previous day be considered, or the weight loss calculated from the time of sunrise, or both? Or, should we set a fix starting time for 1, 2, 3 or 4 hours after the actual sunrise (but here again, for 1 or 4 hours), or should we compensate it with irradiation? E.g. 100W, or 200W? 100J or 200J? You must have heard some good reasoning from experts for these aspects and values, as well as for their various and convoluted variations that seemed logical in the given circumstances, which can be rather confusing. The Trutina can calculate and show the transpiration, that is, the rate of water absorption of the plants. Having analysed a great number of daily watering, we have concluded that the water uptake of plants is not affected by irrigation cycles other than those during the active periods. Therefore, a night or early morning irrigation cycle has no directly measurable impact on the water uptake. For this reason, it is unnecessary to start irrigation before the plants’ natural activity began. It is much more beneficial if the plants are provided with the suitable climatic environment that enables them to activate without any disruption. This graph shows an irrigation strategy in accord with transpiration. Based on the graph, it is sufficient to start the first irrigation at the time when the weigh-loss of the slab reaches 2-3% calculated from sunrise. This strategy results in measurable transpiration data. In case the weight-loss of the slab is over 2-3%, when irrigation is started later compared to the above, we can often experience plant weight (biomass) loss, which means that the plants evaporated more water in the given circumstances than they were able to absorb during the same period. This graph shows a good example of plant weight loss in two consecutive days. It is clearly visible that the water content decreased 15,8% compared to the last irrigation period of the previous day, and 3,69% compared to sunrise, which proved to be too much. It is worth observing the immediate increase in plant weight (biomass) following the first irrigation cycle. Based on our present knowledge and experience, normally the above situation is to be avoided. However, the application of such late start may be used in case of extreme vegetative crop to produce more generative clusters, without causing any future problems. As the Trutina measures the plant weight with high accuracy in real time, it is worth monitoring its changes during the day. Plant weight loss or stagnation are likely the signs of inappropriate irrigation. Daytime weight loss is to be avoided, as it can cause blossom end rot. We can often experience plant weight loss during the exceptionally dry, hot afternoon hours. Daytime plant weight loss is also common in case of low irradiation and unreasonably high afternoon temperature. The first irrigation cycle should be set to help the already active plant. We do not recommend unreasonably large doses of watering at the beginning of the day to reach the maximum daily water content as soon as possible, as it might be cloudy at 11 am. and we end up „standing there with water” up to our neck, having already compulsorily provided the first four doses of watering. It is much more effective to increase the water content by following the transpiration curve with higher frequency but lower dose. This way the drain will appear in time, and this practice will also prevent us from over-irrigating our plants and wasting water.